Interested in referring mediators to others? 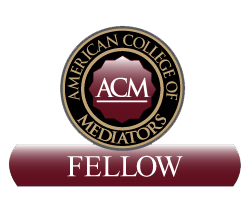 Why Choose the American College of Mediators? The question is not will you ever run across conflict in your life. The question is what will you do to settle it with the best results for you and the least amount of money spent to bring you the results you so desire. Conflict is everywhere and will affect all of us at one time or another. When an individual, a company, or any organization finds itself facing conflict of any kind mediation is often the best avenue to follow. Mediation can and does bring resolution to the conflict at a cost that is usually a fraction of what it would cost to litigate the issue. The time required for litigation is usually much shorter than litigation as well. Mediation can be brought into a conflict before or after that conflict is taken to litigation. The process of mediation brings a mediator into the conflict as a facilitator, with the mediator being a third party neutral, who will help the parties find resolution. The mediator cannot impose a settlement on the parties and there are additional benefits to mediation. Using a mediator, all parties will be given a neutral party to help reach resolution in a setting that has a benefit of being a private, confidential means of coming to an agreement. All of this can be achieved for a fraction of the time and money that would be spent in litigation. Mediation can bring resolution to most situations, from a private domestic issue to disputes between large corporations. 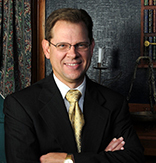 From divorce and child custody to complex oil and gas disputes the mediators at The American College of Mediators can make a tremendous difference in your ability to reach agreement and move on with life. AmericanCollegeofMediators.com has a mission to help you in your search for resolution. 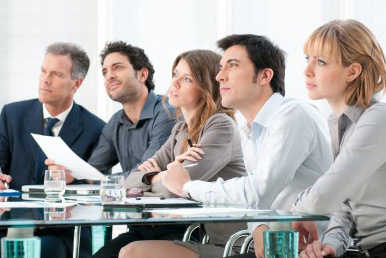 AmericanCollegeofMediators.com gives you a source to find a professional with abilities that have proven fruitful and an education that has equipped them to do the best work for you. You can search for an area of dispute and also by location. Click here to find the mediator nearest you.